All three countries lack American ambassadors. A senior adviser to U.S. President Donald Trump is visiting the Caucasus, where he is expected to try to enlist the region's three governments in Washington's campaign of isolating Iran. But leaders in the Caucasus, wary of confronting Tehran, will likely instead be promoting their own interests to an administration that has thus far largely neglected the region. National Security Adviser John Bolton is scheduled to arrive in Baku on October 24, before visiting Yerevan and Tbilisi. It will be the highest-profile visit yet by a Trump administration official to all three countries of the Caucasus. None of the three currently has a U.S. ambassador, and policymakers have complained of a lack of American engagement. In particular, Bolton is expected to focus on Iran, a country that maintains good relations with Armenia, Azerbaijan and Georgia, but which the Trump administration is aggressively attempting to isolate. Bolton is a longtime Iran hawk and a leading advocate in the administration for leaving the Iran nuclear deal and reimposing sanctions on Tehran. “I can't figure out what else [besides Iran] he would have to discuss” in the Caucasus, said Paul Stronski, senior fellow in the Russia and Eurasia Program of the Carnegie Endowment for International Peace, a Washington, DC, think tank. In its long diplomatic and economic campaign against Iran, Washington has tried to force other countries to also curtail ties with Tehran. But it has tended to look the other way at the Caucasus countries' growing ties with Iran, given their geographic proximity. Especially in the case of Armenia, Iran provides a critical lifeline as its borders to the east (Azerbaijan) and west (Turkey) are closed. In any case, the increasing pressure has complicated the Caucasus countries' already precarious geopolitical position. 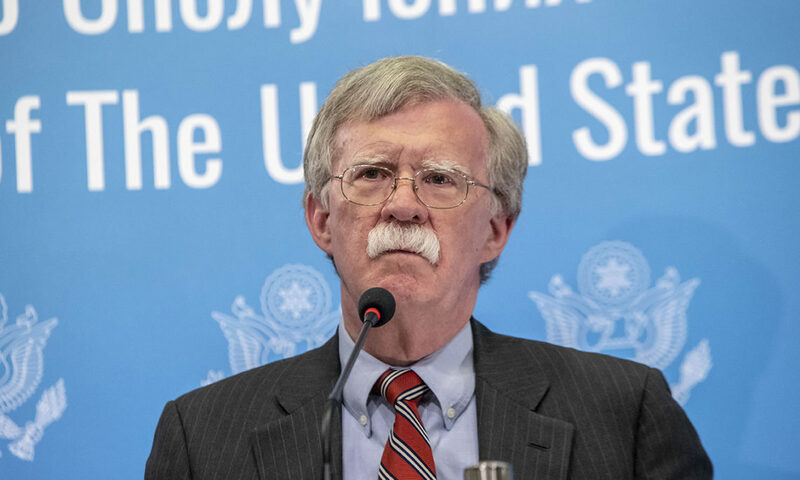 While Iran is likely at the top of Bolton’s agenda, his interlocutors in the Caucasus may instead try to steer the conversation away from Iran and towards their priorities instead. In Tbilisi, Georgian government officials are unlikely to want to get drawn into a U.S.-Iran conflict, instead preferring to keep the agenda focused on issues like security cooperation, said Kornely Kakachia, the director of the Georgian Institute of Politics. Similarly, the Azerbaijani side is likely to seek more active engagement of the U.S in resolving the conflict with Armenia over Nagorno-Karabakh, said Zaur Shiriyev, a Baku-based analyst for the International Crisis Group. “The Azerbaijani side is reluctant to be seen in Iran as participating in U.S. policy. It could be misinterpreted by Tehran, and Baku doesn’t want to damage its bilateral relations with Iran,” Shiriyev told Eurasianet. “The Nagorno-Karabakh issue will be the top issue [for the Azerbaijanis when Bolton visits], but it is hard to expect much new initiative from the U.S. side,” he added. In Armenia, Bolton will be meeting with a new leadership which has promised dramatic domestic reforms but thus far vowed no significant foreign policy shifts. Still, Yerevan is trying to formulate a strategy for dealing with an administration that has moved away from the traditional U.S. emphasis – at least rhetorically – on democratization and toward a “more neorealist approach which is predicated on interests-sharing and functions-sharing,” said Eduard Abrahamyan, a London-based analyst of Armenia.